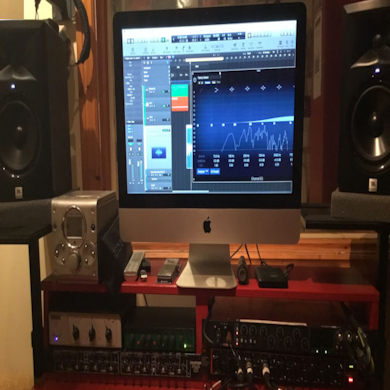 Digital studio, based around Logic Pro X - utilising a range of excellent plug-ins. 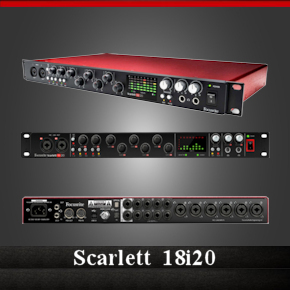 The Scarlett 18i20 USB audio interface is designed to be a complete studio hub, with enough inputs and outputs to record and mix a full band. With eight award-winning mic preamps and outstanding analogue and digital circuit design, it gives you pristine, studio-quality recordings. 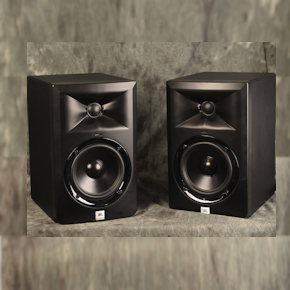 Active 2-way Studio Reference Monitors with 5" Woofer, 1" Tweeter, Magnetic Shielding, and 43Hz to 24kHz Frequency Response (each) JBL LSR305 active studio monitors are a great solution for any serious audio engineer or music producer. They're great for mixing music in your DAW software, editing video, or any other task that requires precise, accurate, detailed sound.